It must be noted that the Negroni Anitca Distilleria endorses the Count Camillo story. 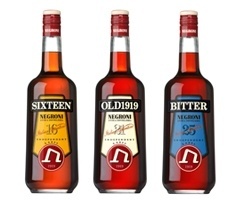 And goes on to explain that Cavaliere Guglilmo Negroni, a young entraprenuer, decided to capitilize on the cocktail that so fortunately had his namesake and created a bottled version that is still sold today. So it’s debatable whether the Camillo story is just a brilliant piece of marketing lore and the late general with an anxious stomach devised the concoction or Count Negroni did in fact stumble upon this delicious beverage. But one thing is certain, it is indeed delicious. Stir with ice and serve up or on the rocks. Garnish with a slice of orange zest. Bitter is known to be the final flavor an advanced palette can appreciate. 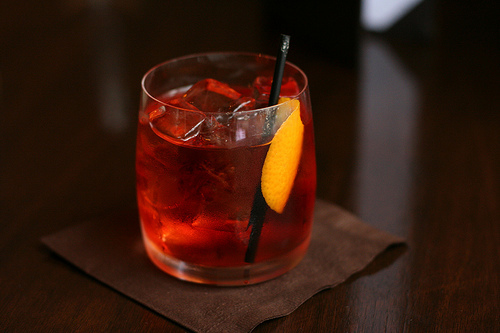 And in the case of the Negroni, bitter is definitely a dominant component. But there is so much more to it. The gin brings a nice botanical essence, but is by no means overwhelming (and depending on which brand you use, the cocktail can take on different levels of this). The sweet vermouth helps to balance the bitter and give it a little body. But the Campari is the real star. With a bitter, but strangely sweet flavor, the first hints are slightly medicinal, but it quickly transitions into a warm orange glow. This is, of course, aided by the oils from the orange garnish. The finish is decidedly sweet as your taste buds clamor to adapt to the bitter and end up overcompensating. As with most non-citrus cocktails, the flavor evolves over time as the drink warms in the glass—assuming you try it up as opposed to on the rocks. Either way, this is one of the fundamental cocktails of the world. The equal measure of the ingredients eloquently demonstrates the core of all great cocktails: balance. And the simplicity of the recipe makes it easy to taste what a well balanced drink should be like, serving as a benchmark for explorations of one’s own. It is squarely in my top five favorite drinks of all time, if not the top three. 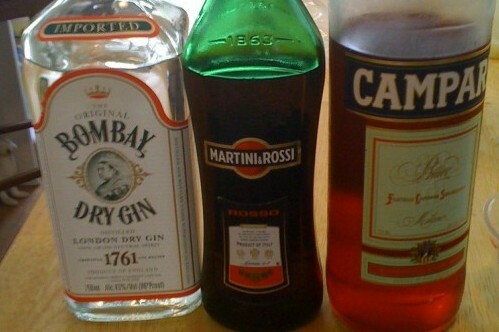 Now go buy a bottle of Campari, try one for yourself and let us know how it goes. Negroni photo courtesy of Geoff Peters 604, Flickr. Negroni ingredients photo courtesy of fixedgear, Flickr.